Did not know / remember that, thanks. I still personally doubt his inclusion based on the other toon's appearance since Zelda back story is not likely so fresh in everyone's mind and it could be confusing. 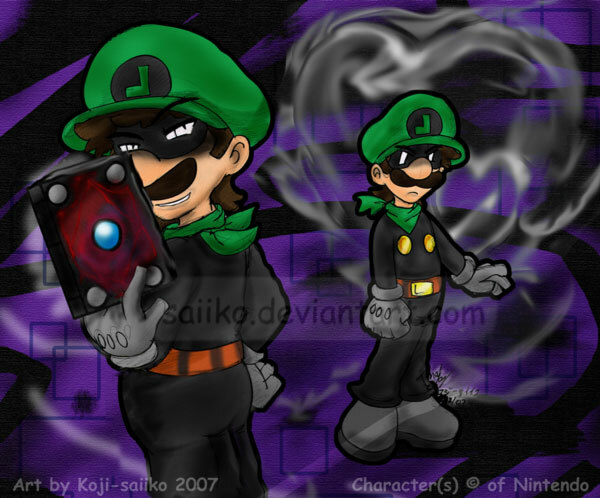 But anything could happen, and a doppelganger in one stage would be far from the weirdest part of Smash. I can't believe the Wii fit trainer and Mega Man are coming! Sakurai said in the E3 interview video that the roster will be the same in both versions, but the stages (and undoubtedly other features) will be different. So no worries in that regard. What I read/heard was he said that each version would have the same number of characters. It didn't seem clear to me that the roster would necessarily be the same, but maybe it will be. I'm disappointed that there will be unique stages. Now for the full experience I need to buy two games, and though I prefer home consoles, I have to use the handheld to play certain stages. I wish they would keep it all the same insofar as is possible and only make exclusive content where such content would not be possible on the other platform. But it does not seem to be in the cards. I dont think villager will be on 3DS. Maybe Nook will. Sakurai said the same AMMOUNT,not characthers. No, I'm pretty sure he said characters. I'd love it if Megaman Zero were in this version since it was a pretty big handheld series for the GBA. ...Unless you meant a Mega Man Zero stage; in which case, that's not a bad idea and it could happen. I would guess Zero will make a trophy appearance. And perhaps as an Assist Trophy. That's what I meant. Forgot there were two kinds of trophies. It would be awesome If your own Mii can join SSBB. Just thinking up some portable gaming stages. There has to be a Link's Awakening stage right? Maybe atop the Wind Fish. A stage based on Wario's castle in SML2 would be good. It'd be nice to see a Wario Land stage in ANY Smash Bros game. Because damn, that series got way too overshadowed by WarioWare in Brawl. I REALLY loved the warioware stage, like you had to do something and if you did it right you earn a power up.